It’s hard to see, but there are five hockey sticks among our other “sticks”. This used to be our only holder for hockey sticks in our garage. Not any more. 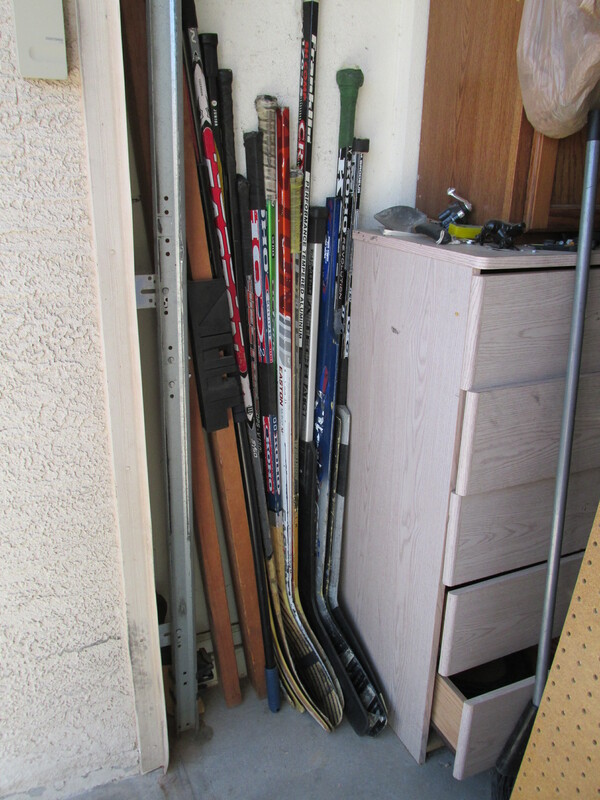 These are the hockey sticks by the outside garage door……. obviously this is where the goalies sticks go….. but I’m not sure why the others (which are also divided by lefties and righties) can’t go with the others further inside the garage??? It’s all a mystery to me. 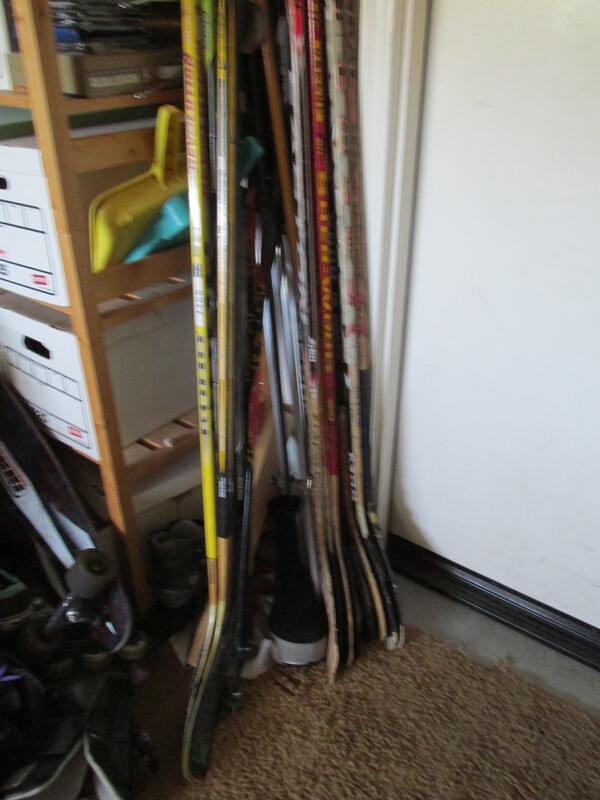 The GOOD NEWS is my husband was looking on Craigslist for hockey sticks, because obviously we don’t have enough yet. And he saw an add for a guy that buys old wooden sticks for making furniture…. get this… $2 each! He shoots! He scores! So the pictures that I’ve shared here are the sticks that are worth MORE than $2 each in my husband’s mind. He just finished putting about TWENTY sticks in the back of his truck to sell to the hockey stick furniture guy! 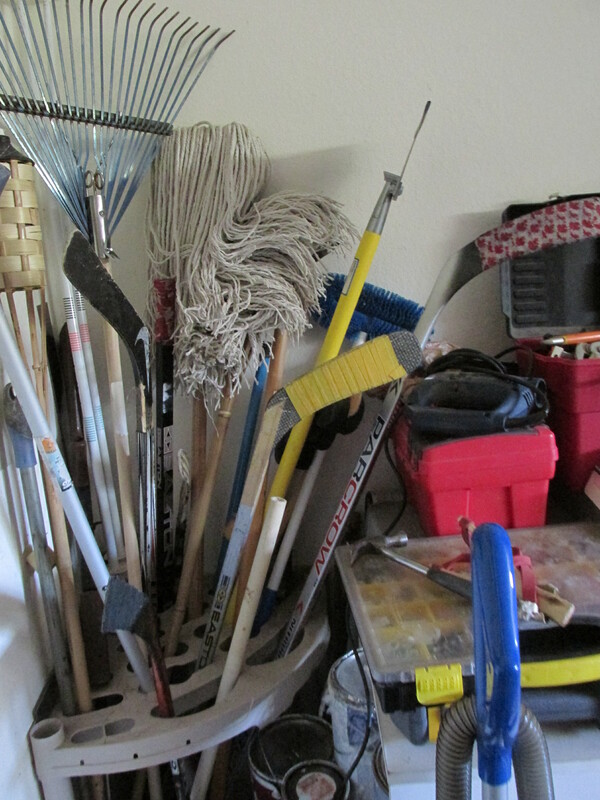 I guess this is Spring cleaning… hockey style! My guess is that half the hockey sticks that were in the garage just left! Whooo HOoooOooooo! Did I mention that we live in Phoenix, Arizona? Not exactly a booming hockey town. This was a First for ME! Toilet paper is apparently a current topic in my life. Some of our children’s friends TP’d our house a few weeks ago and due to the extremely pokey trees we have in the yard, there are remnants of the prank still waving at us. Even our tall son and his hockey stick couldn’t remedy the situation. My extremely frugal husband was thrilled to find five rolls of TP with 3/4 of the goods still on the roll! We have been saving money left and right from this yardly joke. This morning after church, I was visiting the ladies room and when I arrived in my chosen stall, I noticed a huge white rose where the toilet paper should have been. I did see the elderly lady who left the stall before me, and I wrongly assumed that it was a silk rose to clip in her hair that she inadvertently left behind. Upon closer inspection…. not so. 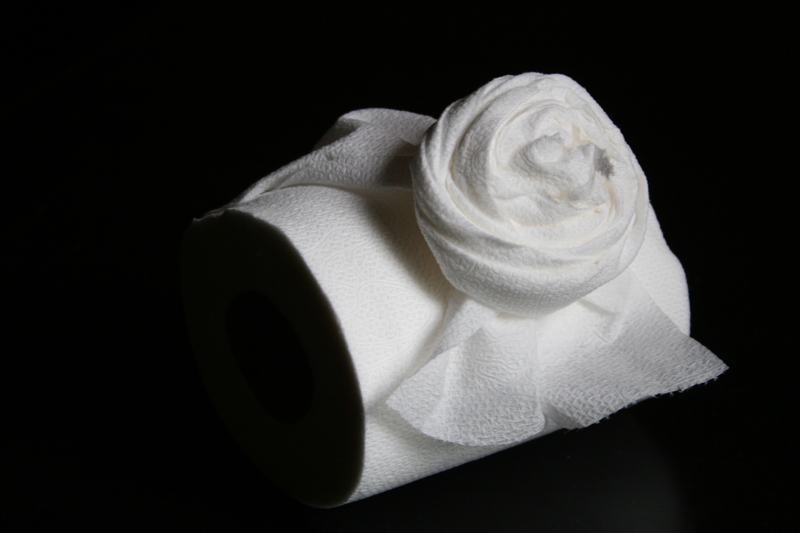 The sweet dear had taken the time to make a toilet paper rose…. FOR ME! Never in my life have I seen a TP rose! It made me smile. The thoughtfulness of that little lady. All for me. I feel the need to find a how-to-make-a-TP-rose video on youtube so I can pay it forward. Wasn’t that nice of her!? !